Introducing our Dragonchain ICO Analyst Report , our analysis of Dragonchain, the blockchain platform developed at Disney. Deeply researched and beautifully presented, this is the most comprehensive analysis available on the Dragonchain investment opportunity. 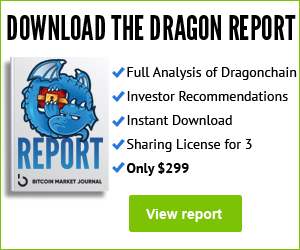 Our Dragonchain ICO Report comes with a sharing license for up to three people, so you can pass it on to two additional friends or fellow investors. 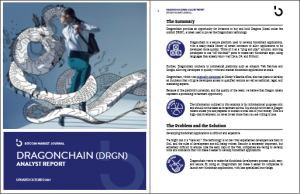 Click here to purchase the Dragonchain ICO Analyst Report (just $299).